This is a first for us - a shot of our work-in-progress taken from a drone! Hovering probably 80 feet above a ravine, with the river in the foreground, the cabin addition we designed to fit on a boulder is taking shape. Many thanks to Tom and Maru for sharing this with us. They are both to be found in this picture, if you look hard enough, as is their son-in-law operating the drone from the deck. This is a super fun shot and a great way to look at the project! Just up the street from us. We're excited to see this project coming together nicely. It's a conversion of a garage built in the 1940's, plus an apartment added on in the 1970's, into a single house that works in the 2010's, and beyond. Oh, and it's in an historic district, so it needed an extra design review step by the county. The budget is tight and the schedule requires that the building be weather tight before the rains come in another month or so. Despite a lengthy permit process this past Spring, it's well on track. It's going to be a cute house when it's done. It's also the closest project we've ever done from our office - just one block away! We'll show you more photos soon. First on Tuesday, the Sacramento Bee published an article about our friend Alvaro at ARB Digital. You can read it here. It talks about Alvaro, of course, and mentions our friends at Living Plug, but the only picture they ran was of our Watermark cabinet. Cathie Anderson, the writer and the nicest person, interviewed us for that article. At the end of the interview, I half jokingly said she should do a piece about us. Well, she did it right away, and it came out 3 days later! You can read her article about us here. This week saw what I think was the most beautiful concrete pour of our career. 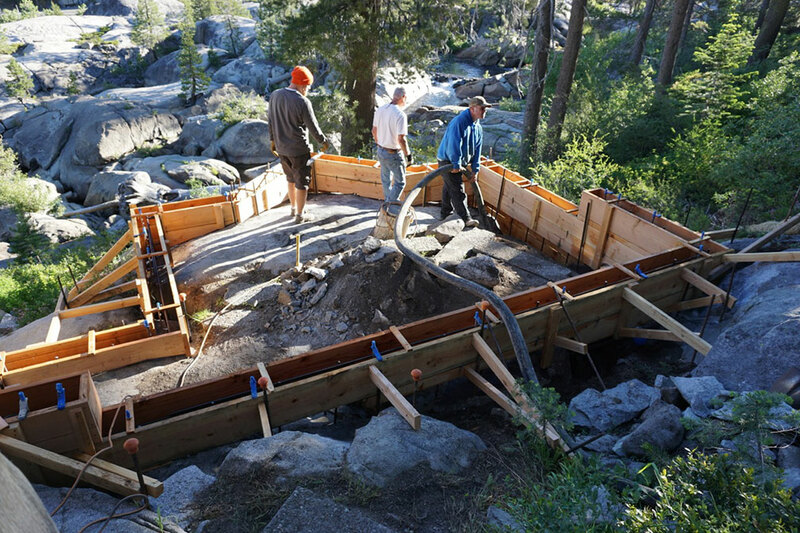 The project is an addition to a cabin overlooking the South Yuba River. 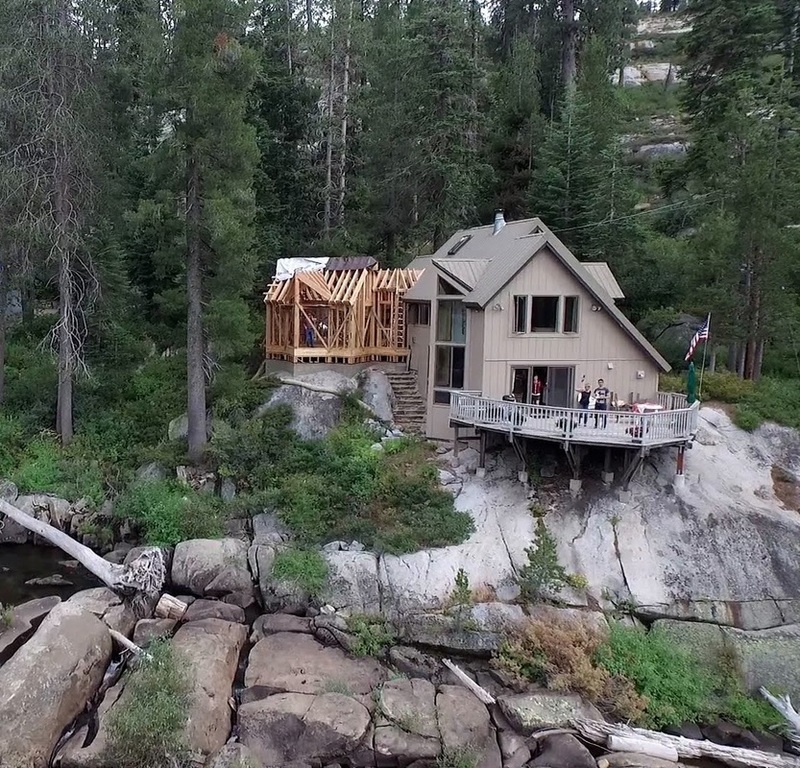 The addition sits squarely on a large boulder next to the cabin and the foundations are pinned into the rock. Windows will face the river and give wonderful views. It was a perfect morning, everything went smoothly, and Tom and Maru, the owners, were happy to help with trowelling. After months of planning, it’s great to see how well this project will sit on its site. We can’t wait to see the next phases! It was a fun WestEdge show! It may have been a last minute decision for us to show our work at the first WestEdge San Francisco show, but it was worth it. Many thanks to the 3,000 of you who showed up to see it and speak with us! We made some new friends. 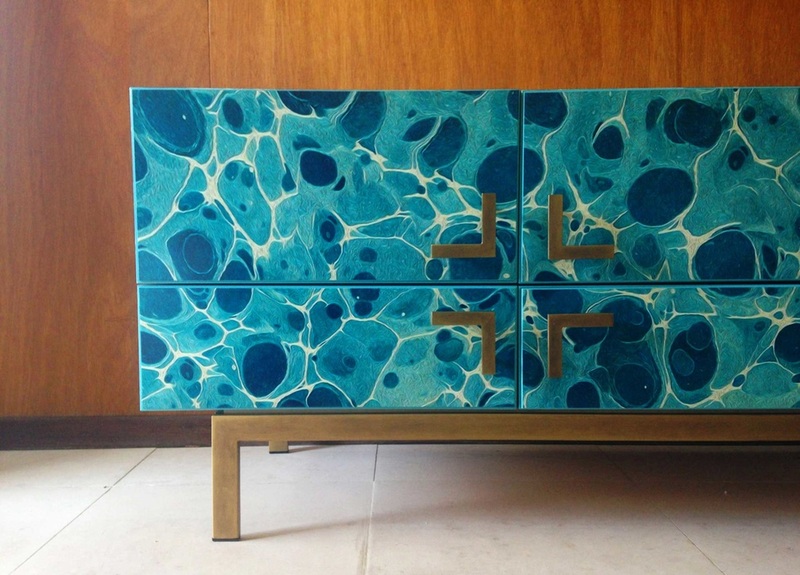 If you haven't already seen our Watermark cabinet, here is another chance. We are happy to take part in the first WestEdge Design Fair San Francisco event, which is also part of the San Francisco Design Week. Registration is free, and all the details are HERE. We will also be showing our latest Container Ten-71 planter. (It's green!) We hope you can stop by and see us! 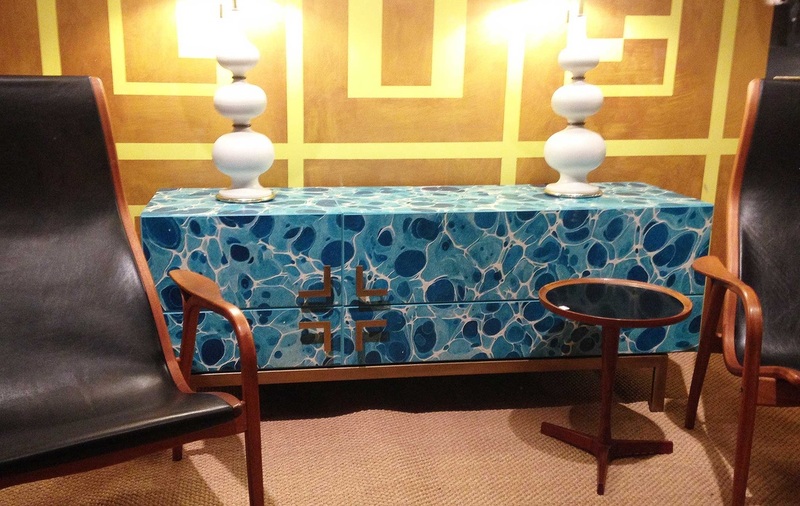 Good Things Come to ICFF 2015! Our Mixi Modular pieces were on view for the first time in New York a couple of weeks ago, and the reception was great! We met lots of great people, and we got lots of positive feedback! We brought all new pieces to this show, featuring a number of new features. These include: new stained wood finishes - in walnut, maple, and cerused oak - marble tops, powder coated bases, flip-down doors, new sizes for our wine racks, and Bluetooth-enabled speakers! The speakers are especially fun. 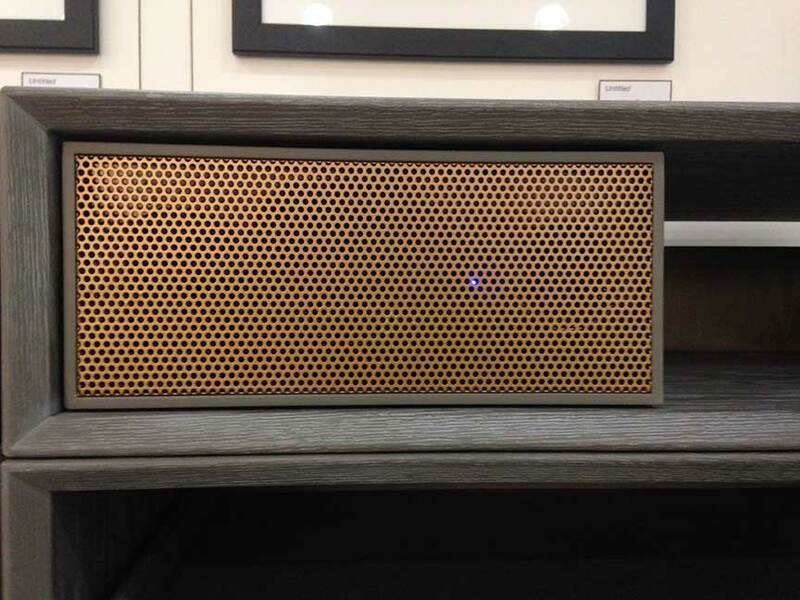 People really like the look of our metallic grilles, and they sound great, too. And if you have a smart phone, you don't need anything else to bring great sound into the room. Simple. We started Mixi last year as great system to create furniture. We have now introduced a lot of innovation to make it even better. Stay tuned for more information, or ﻿contact us﻿ to learn more now. We have been busier than ever these past few months so haven’t been posting much, but we’re breaking our radio silence to bring you exciting news! 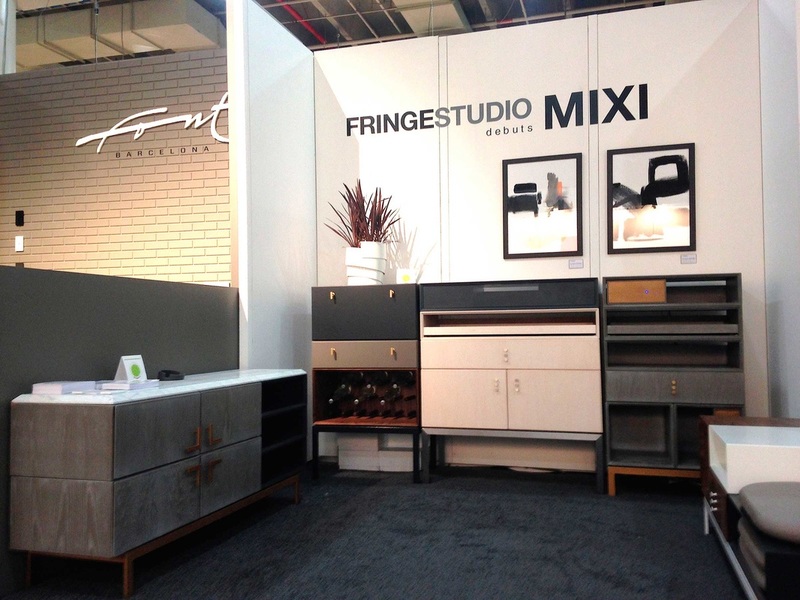 Fringe Studio is bringing our Mixi system to the International Contemporary Furniture Fair. We will be showing all new pieces, with new finishes and new accessories, as well as some of the ones you know and love from before. Fringe Studio will be at Booth #1059, on the First Level. 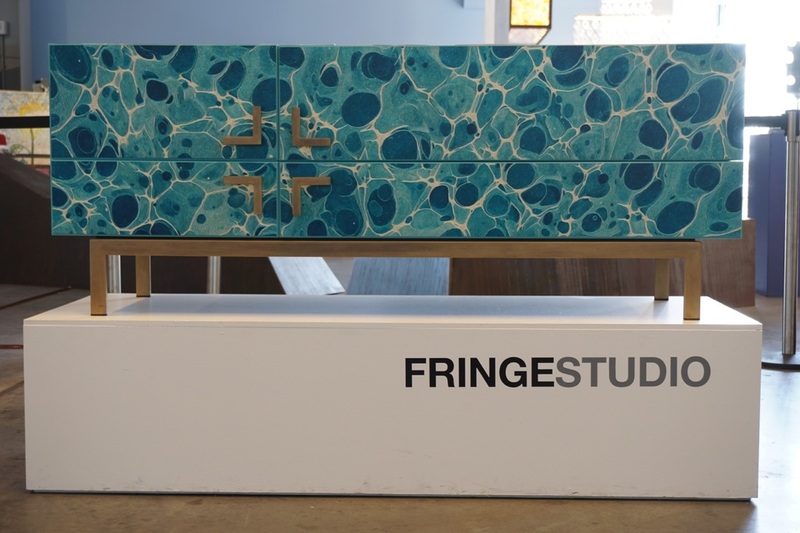 We are pleased to announce that our one-of-a-kind Watermark cabinet can now be seen at DeAngelis (formerly Monument) at 573 Valencia Street, between 16th & 17th, in San Francisco. Not only that, it's in the front window! If you want to see it in person - or buy it, for that matter! - please do stop by. Michael DeAgeles is a sweetheart and will be happy to help you. ...and where are you going to stash all those treats?! ?